We have gathered all the homey details for your Make Yourself at Home projects together in one amazing kit! 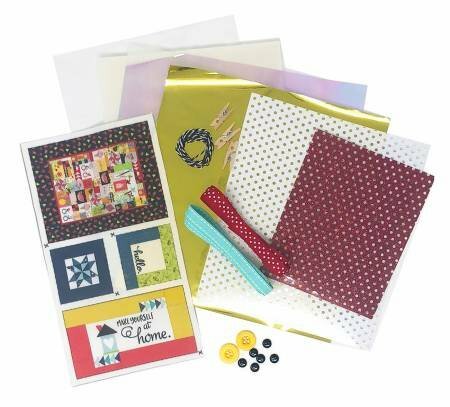 You will feel right at home as you stuff and quilt the kit exclusive MINI Hello Sunshine quilt and pillows, decorate with glitter polka dots and delight in the perfect trims for blossoming flowers! 25 embellishments from 5 different product lines PLUS kit exclusive printed fabric embellishments.